In Part 1 of our Fighting Bullying series of blogs we discussed the Centerline Strategy of Jukido Jujitsu and our unique approach to teaching self-defense to children (and adults) at our Palm Coast, Florida school – Jukido Academy. This approach provides our children with the verbal, physical, and psychological tools to prevent themselves from being a bullied. The study and mastery of true martial arts skills, studied for self-defense as opposed to sport, builds a truly solid foundation of confidence in our children. This foundation, as discussed in part 1, actually makes children much less likely to ever truly need to physically defend themselves; while at the same time ensuring that they can if it becomes necessary to do so! However, there is another tool that is equally as empowering for our children. This tool can only be provided by parents! What is this magic tool? Permission and encouragement to assert themselves when necessary. 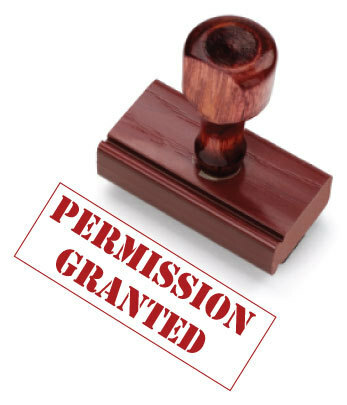 Permission and the strongest possible encouragement possible to physically defend themselves if they are under attack. Assuring our children that they do NOT need to and SHOULD NOT negotiate with a bully who is in the middle of physically assaulting them. Children need to hear and know that their parents are not only OK with them standing up for themselves but that parents expect them to physically defend themselves. Kids need to know that they will NOT in be “in trouble” for defending themselves! Unfortunately, and unintentionally, kids get the message from adults that they will “get in trouble” for “fighting.” It is considered one of the biggest No-No’s! “You better not get into fights!” or they hear vague messages about “just ignore” the bully or “just walk away.” Another is the message to “find an adult” if a bully is giving you trouble. School systems across the country have, on the surface, done a lot to address bullying via various anti-bullying campaigns. Much of the advice given, albeit often quite vague, isn’t bad…but it is incomplete because it fails to address the key moment when all solutions have failed and a child is now beyond being able to walk away because he or she is being physically assaulted by a bully. In fact, most schools have “ZERO TOLERANCE” policy. We’ve had parents sign up their kids with us for private lessons after their child was suspended from school because they were involved in a “physical altercation.” The young child didn’t fight back (because they were afraid of getting in trouble…a fact most most bullies exploit in good kids) and was simply beat up. In one such case a school bus driver provided testimony to the fact that the young child did nothing but cover up and never throw a punch or a kick and asked for the bully to stop. However, the school’s “Zero Tolerance” policy states that whenever there is a physical altercation of any kind – all parties are suspended…so the bully and the victim receive the same punishment (I maintain that the victim is physically and psychologically punished in a manner that far exceeds the penalty the bully receives)! The combination of this so-called Zero Tolerance policy and the parenting advice that strongly encourages kids to “walk away” and “not fight” comes to a breaking point when the child is at that critical moment where, despite his best efforts to put all the advice he has been given into practice, he is now a few seconds away from being physically assaulted by a bully with no help insight. It causes physical and psychological hesitation! He is at the crossroads of what he should do “in theory” versus the practical options he has right now – in reality! If he fights, he’ll get “in trouble” with school and parents. If he doesn’t fight – he’ll get in trouble anyway (zero tolerance policy) because he was involved in a “physical altercation” and didn’t “just walk away” — but at the same time if he does nothing he’ll risk his physically safety. What is the young child supposed to do in this situation? Our position as a martial arts dojo, my position personal position as a self-defense teacher and as a father is crystal clear – you MUST protect yourself and you have my full permission to do so! DO NOT get into fights at school! Someone saying something bad about your clothing, me or your mother, or just being mean to you, does NOT give you the right do go over and whack them upside the head. It might be tempting to do so… that is a natural emotional reaction. However, your mother and I do NOT give you permission to get into fights over this type of confrontation. Be the bigger person and don’t engage with negative people. This is part of exercising restraint and discipline as a responsible martial artist. Violation of this family policy will bring consequences at home and at school that you won’t like. HOWEVER…You DO HAVE OUR PERMISSION and WE WANT YOU TO protect yourself if your physical safety is at risk! We don’t care if it is from a child abductor, someone on the playground, or someone in school – if you are under attack you MUST protect yourself. Period. End of story. You are too important NOT to protect yourself and you will NOT get in trouble at home. Furthermore you have our permission to let a bully know that you are willing to stand up for yourself and protect yourself (not fight) if put in that position. If you get in trouble at school – you WON’T be in trouble at home. I would rather get a call from school telling me to pick you up because you protected yourself and are now suspended than getting a call from a hospital telling me you were severely beat up on a school bus. You have a right to protect yourself and we, as your parents, support that right. If you protect yourself in a legitimate way at school and get suspended – so be it. In promoting this message of permission, coupled with the physical martial arts skills, as parents we empower our children and eliminate those key moments of physical and mental hesitation. The child, at that critical moment, doesn’t have to weigh the pros and cons of confronting a bully. He has a clear understanding of what he has and doesn’t have permission to do and knows that he has the blessing of his parents to do what is right. Fight back against bullying! If you get a call telling you to pick up your kid from school because he was attacked and defended himself…but due to “zero tolerance” was suspended along with the bully. I would encourage you to pick up your kid and take him out for ice cream and let him know how proud of him you are for having the courage to do what was justified and right.